When will you receive your welfare payments over the holidays? The dates you usually receive your welfare benefit payments may change over the Christmas holidays. It is vital to know when exactly you will be paid over the festive period so you can plan accordingly. In most cases you will just receive your benefits 24 hours early due to bank holidays. 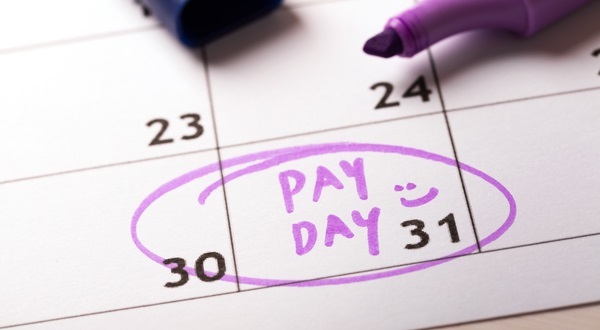 If your monthly payment date is on a weekend or a bank you will be paid on the working day before. For example, if you are due to be paid on the 25th or 26th of December, you will now be paid on the 24th. If your tax credits are due to be paid on the 25th, 26th or 27th of December, they will now be paid on the 24th. If your tax credits are due to be paid on the 28th of December, they will now be paid on the 27th (excluding Northern Ireland). If your tax credits are due to be paid on the 1st or 2nd of January, they will now be paid on the 31st of December. If your tax credits are due to be paid on the 3rd of January, they will now be paid on the 2nd (excluding Scotland). If your Child Benefit payment is due on the 25th or 26th of December, you will now be paid on the 24th. If your Child Benefit payment is due on the 1st of January, you will now be paid on the 31st of December. ESA is usually paid every two weeks. So if your payment is due on a bank holiday, you'll be paid on the last working day before the holiday. For example, if your payment is due on the 24th, 25th or 26th of December, it will now be paid on the 21st.